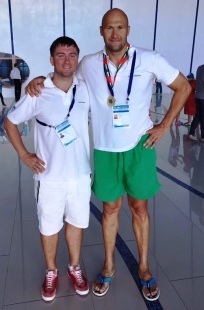 Ilya Gordetskiy showing his well deserved medals. Ella van Beek – age 15. 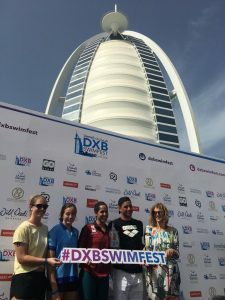 Second in Burj Al Arab on 3rd November 2018 in the 1100 mtr. race. 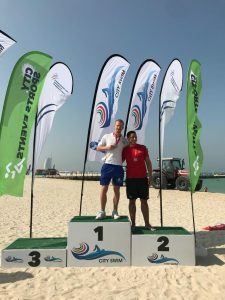 Yury Ermakov winner of the 2.5 KM open water City swim held on 27th October 2018. 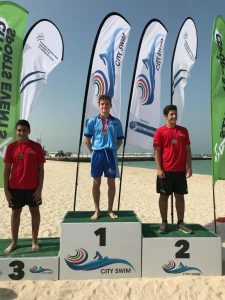 Aleksandr Fedorov winner winner of the 2.5 KM open water City swim held on 27th October 2018. 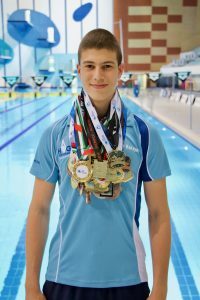 Alexey Khovrin won two times gold in the DIAC pool competiton with 50 mtr Backstroke with the time of 27.77 and 50 mtr. butter fly with the time of 26.10. 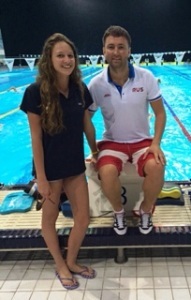 Alisha Nagreen participated in the AUD School Sports Challenge. 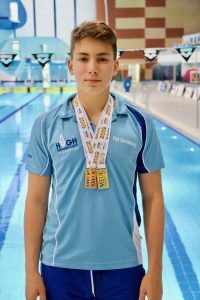 Well done for winning 3 gold medals and 1 silver! 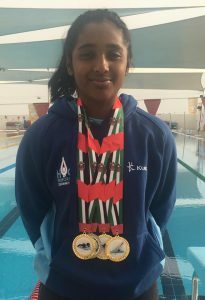 Anna who received a gold medal for 200 and 400 mtr Individual medley and silver for 200 mtr freestyle.